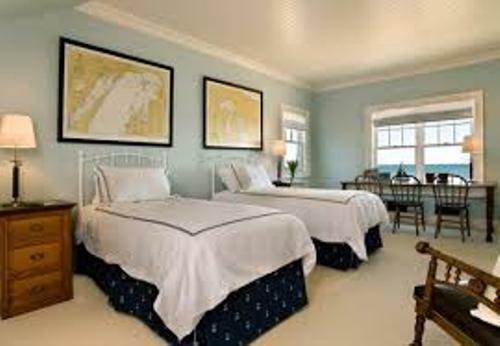 Look at several guides on how to arrange a bedroom with two beds in the following post below. Sharing a bedroom is a common thing for the people who have to live in a small home. It can be seen in the kid’s bedroom. The sisters and the brothers have to sleep in the same room. To make them comfortable, you need to put two beds. Therefore, they do not have to sleep in the same bed. The layout of the furniture pieces should be determined to secure the comfort of the kids. You can have a parallel placement of two beds in the bedroom. You can purchase two similar single beds and set them side by side. 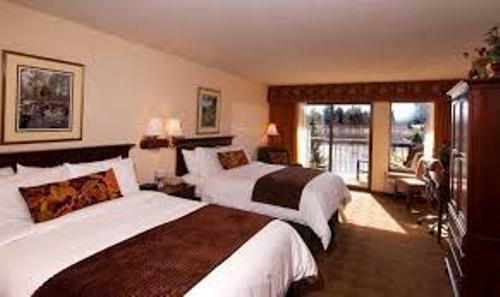 The headboards of the two beds are located in the same wall. You can put stylish side table or nightstand between the two beds. Decorate the top of the nightstands with two matching reading lamps. The bed frames in the bedroom are always considered as the focal point. You can decorate it with two matching comforter, bed linen and bed sheet. The image of the bed linen is available in a lot of options. You can select the image which can evoke unique theme in the bedroom. If the room is occupied by little girls, you can purchase the princess themed bedding set. If the boys occupy the room, the superhero bed linen is fabulous to have. The presence of two beds can take a lot of floor space in the bedroom. Therefore, you have to choose the multifunctional bed frames. It can feature storage compartment located underneath the bed. It can be used by the kids to save their clothes, books, or even toys. Get guides on how to arrange a bedroom with futon here. You can use the area in front of the nightstand as the play area for the kids. Spread a comfortable fur area rug and let them play on the ground in comfort. If the bedroom is super small, a bunk bed is a good solution. One kid sleeps at the lower bed, while another one sleeps at the top. Find ideas on how to arrange bedroom with a lot of windows here. Are you impressed after reading guides on how to arrange a bedroom with two beds?